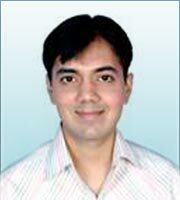 Pankaj a 27-year-old man was forcibly brought for treatment by his wife. He was diagnosed as suffering from alcohol dependence. He had started taking alcohol at school in company of his friends and had been taking it regularly for the last 11 years. His intake had increased progressively; he dropped out of college and joined his father’s business which he also left as he incurred huge losses. There were many instances where Pankaj became very angry in public over minor issues such as someone telling him to wait for a while. He became very aggressive in these instances and often indulged in physical fights. There were two cases registered against him. He enjoyed reckless riving and did it frequently after getting drunk. He had met with an accident thrice. He was married a year ago and had been very inconsistent towards his wife; at times he showed a lot of care and affection while on other occasions he got violent with her. Initially Pankaj refused to see that he had any problem. He boasted that he was very courageous and could leave alcohol without any treatment in a day and he was not doing it because it was not a problem. He felt that he was not drinking much. The initial phase of treatment focused on establishing a therapeutic alliance and making him see through the denial. He was put on medication and monitored for withdrawal symptoms. As he got better, his inner world was explored. 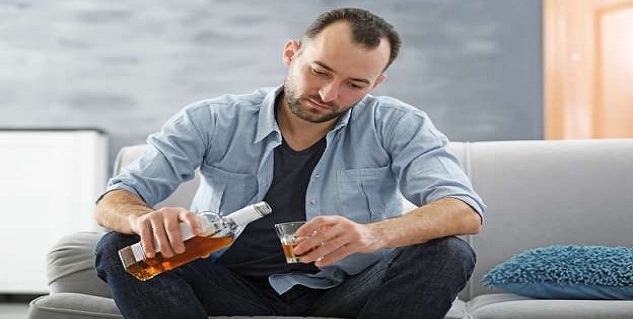 It became apparent that whenever he felt frustrated and sad he gulped down huge amounts of alcohol as it made him feel better and forget everything. It was difficult for him to tolerate the pain of being disappointed. Clinical experience and research studies have concluded that men are more likely to use abuse and get dependent on psychoactive drugs as compared to women. Typically, men develop addictions at an early age, experience difficulties in their career due to addictions, develop aggressive, impulsive, antisocial and socially inappropriate behaviors as a result of substance use, are bad at recognizing addiction as a problem and seeking help and have poor strategies to cope with stressors. The commonly used psychoactive substances are: alcohol, opioids, cannabis, sedatives, cocaine, hallucinogens, tobacco and volatile solvents. 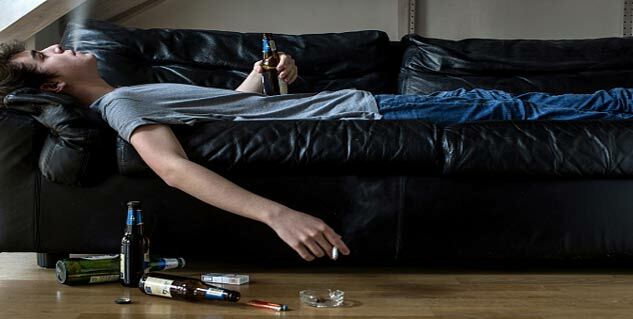 Apart from addiction to nicotine, alcohol dependence is the most common disorder of addiction. • Acute Intoxication: Due to a recent heavy dose of any psychoactive substance, the person experiences a transitory disturbance in thinking, feeling, behavior, awareness of oneself and surroundings. Usually, these disturbances go away when the substance gets eliminated from the body. • Harmful Use: The person is addicted to any psychoactive substance, takes it on a regular basis and this causes damage to person’s physical health, mental health and social and occupational functioning. People close to the person may criticize him for the addiction but he denies the problem. • Dependence Syndrome: The person has a longstanding addiction which becomes the topmost priority for him than everything else in life. The entire life of the individual revolves around the drug. He cannot control the drug taking behavior, spends a lot of time and effort in procuring the drug, may go to lengths to get it, takes progressively increased doses and neglects all other activities that interest him or the ones that he is supposed to do. • Withdrawal State: The individual experiences intense physical and psychological symptoms when he reduces drug intake following prolonged use. These symptoms are extremely painful and uncomfortable, the person finds them impossible to tolerate and often goes back to taking the substance. This is a major reason why people cannot quit substances despite making firm resolves. • Psychotic Disorder: In few cases, the individual may experience psychotic symptoms following substance use. He may feel very fearful or happy, experience vivid hallucinations, delusions and abnormalities in body movement. • Amnesia: Due to continuous use of drugs or alcohol, the person experiences difficulty in recent memory, i.e. he is unable to learn any kind of new information although memory for the past is more or less intact. • Painful emotional states: People who develop addictions experience intense emotional distress that they are unable to tolerate. Commonly experienced emotional states include loneliness, boredom, rage, frustration and sadness. They take alcohol or drugs to numb these intense emotions. In treatment of addictions therefore working with these emotional states and making them tolerable for the person should be a major goal else the chances of the person getting addicted once again would be very high. • Primitive defenses: Substance users have primitive coping mechanisms due to which they cannot handle their emotions and deny their problems completely. When confronted by others about their addictions, these individuals are known not to acknowledge the problem. • Biological factors: Research has shown that genetic factors add to the risk of developing addictions. Some individuals have a unique biochemistry due to which they develop unpleasant reactions as soon as they take drugs and these persons are therefore not likely to have addictions. Following use of some drugs, the midbrain dopamine system gets activated and it reinforces the person to take more of the substance. • Dysfunctional family environment: Quite a few drug users have been reared in families where their physical and emotional needs were not fulfilled, an atmosphere of indulgence, aggression and violence prevailed, they were treated harshly or in contrast there was inconsistent discipline and less monitoring and supervision. • Faulty learning: Individuals get tempted to try addictions when they see their role models or people whom they idealize doing it: parents, friends, favorite hero, etc. Also, the initial positive effects of the drug tempt the person to continue its use as he finds it very pleasurable. • Social factors: Several social pressures of our time contribute to addictions. Growing up children and adolescents take drugs to get accepted in the peer group. Many students and young professionals take drugs to fight stress that they experience due to performance anxiety. People who are unemployed, lonely or homeless take drugs to escape frustration. Also, in many contexts it is considered masculine to be drunk and to be sober is regarded as weak and unmanly. • Psychological disorders: Individuals suffering from some psychological disorders are at an increased risk of developing addictions. Boys and men suffering from bipolar disorder, conduct disorder, attention-deficit/hyperactivity disorder, dependent personality disorder and antisocial personality disorder are more prone to have comorbid substance use. • Detoxification: It is the initial phase where the person is put on medications and monitored to reduce the withdrawal symptoms. Before this phase, it is ideal to make the person acknowledge that they have a problem which is creating severe dysfunction in their life and it can be treated. This should be done in a non-confrontational and empathic manner. • Active treatment: The person continues to take medication and psychotherapy is started to deal with personality, emotions and past issues that predisposed the person to substance use. Group therapy and socio-emotional support is necessary at this phase of treatment. • Maintenance and rehabilitation: In a way it is the most difficult phase of the treatment. It is easier to get the person of the drugs but very difficult to make them remain of it. Chances of relapse are very high in this group and in clinical experience; a majority of people come, get treated but resume drug use once they go back to their home. Therefore, psychotherapy and group counseling should continue in this period and help the person develop better coping mechanisms and relationships. The person after recovery may realize that he has lost important years of his life in drugs and feel extremely depressed, dealing with this depression should also be a goal of the treatment. Aim is also to motivate the person to leave the drug subculture and develop newer social contacts, build on assets and restore social and occupational functioning.